Camille Peluso Architects has created an inviting solution for the two-story space of the Jones New York flagship store at 1711 Walnut Street. 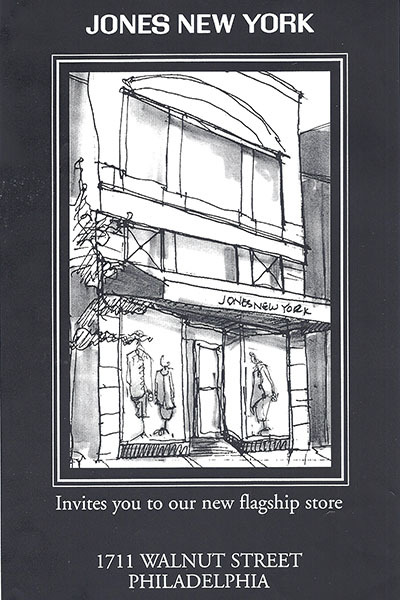 The 3,500 square foot store’s upscale atmosphere is in response to its exclusive Walnut Street location. 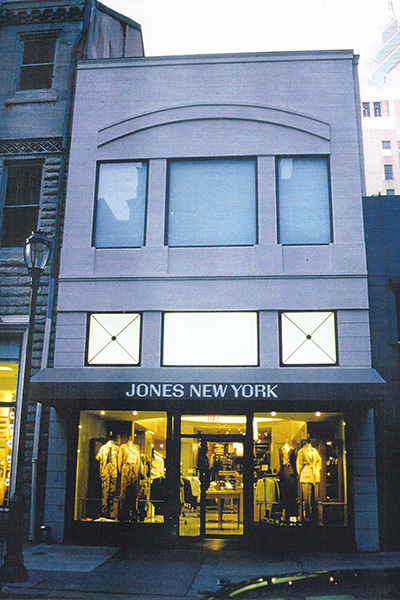 The new façade reflects the quiet elegance and classic lines of Jones New York’s signature style while integrating the building within the historical fabric of the street. Working closely with Rena Rowan, a sophisticated palette of neutral tones was created with warm woods, marble, black lacquer and velvet drapes. All of these features create and exciting and welcoming retail experience. The customer is greeted by a two-story space with marble floors and Italian glass pendant lighting fixtures. The warm wood paneling draws you into the interior of the store where a double –sided stair leads you to the mezzanine and lower levels. 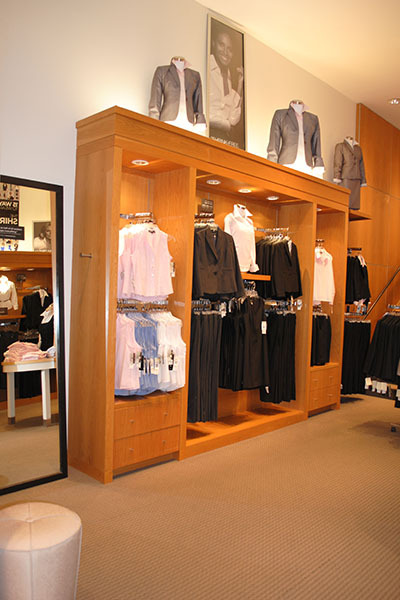 The attention to details is echoed in the architect designed fixtures and furnishings throughout the store. Camille Peluso Architects also designed 26 shoe stores nationally.